Kamniška Bistrica valley offers a wide variety of different hikes and climbs. Some of the trails are very popular and some hidden from the crowds. Zeleniške Špice ridge traverse is definitely among the hidden gems. 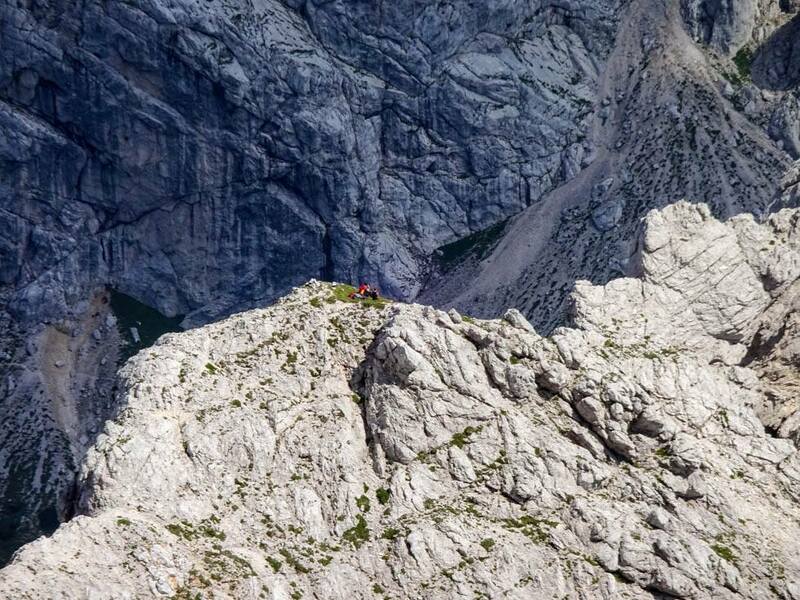 The most beautiful ridge traverse in the Kamnik-Savinja Alps, some say even in all the Slovenian Alps! Looking at the ridge from a distance, it seems wild and unapproachable. However, the closer you get, the more you want to admire its beauty. However, Zeleniške Špice ridge traverse is not suitable for everyone. If you’re not an experienced hiker, choose another peak, trust me! It’s somehow reserved for alpinists and very experienced mountaineers who feel comfortable to climb II+ (UIAA) without a rope. So how to get there? Starting from Kamniška Bistrica Hut, follow the path in direction of Kamniško Sedlo. Soon after you pass the cable car (providing supply for Kamniško Sedlo Hut) the path crosses a dry stream. Don’t turn left in the direction of Kamniško Sedlo, but turn right, where an unmarked path goes towards another valley – Repov Kot. Continue straight uphill and stay on the same side of the valley. Around 30min later, when you leave the forest, Planjava mountain will welcome you on your left. Now you should clearly see the ridge on your right side. The path soon turns right towards Staničev Vrh, a starting point of the ridge traverse. 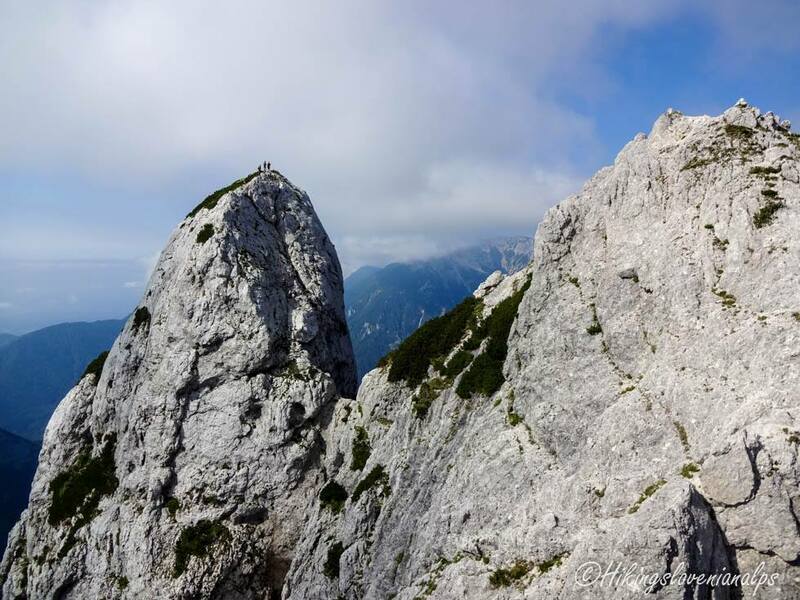 Reaching the summit of Staničev Vrh is fairly easy, (for skilled mountaineers!) but requires some easy climbing (I on UIAA scale). Now the adventure begins! Next 2 – 3hrs will surely be memorable. If you want to experience the ridge in the best way possible, just stay in the middle of it as much as possible. Climbing shouldn’t be harder than II+ (UIAA), so if it gets really hard, you’ve probably taken a wrong turn. Even if you’re an experienced alpinist with many solo ascents, carrying a rope is always wise. Need more detailed information, a sketch drawing of the route or maybe someone to guide you? Please let us know.